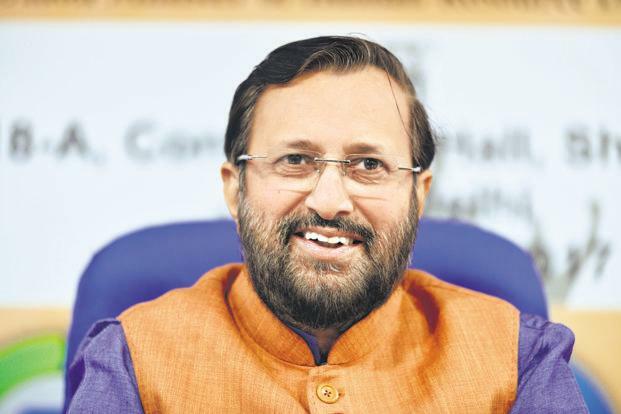 New Delhi: The government is framing rules to partially control how the Indian Institutes of Management (IIMs) function to curb potential misuse of the powers accorded to the board of the elite B-schools under the IIM Act. Accordingly, the human resource development (HRD) ministry is working on a set of rules, which may influence the fee structure, student intake capacity, gender equation on campuses, degrees offered and the amount of the corpus the IIMs can maintain. Besides, it is also deliberating on whether the government should have a say on the appointment of the chairman to the board of IIMs, or their retrenchment “without flouting the autonomous spirit of the IIM Act”, at least two government officials said, requesting anonymity. “All the IIMs are not of the same quality or stature, you have to build in rules, which will save IIMs from decaying. There is a consensus across political and administrative spectrum that adequate accountability and safeguards must be built in through these rules,” said one of the officials cited above. The IIM Act gives the institutions autonomy in administrative, academic and financial matters. The government, however, feels that the fees should be in “commensurate with the expense”. “Unfortunately, several IIMs are building corpuses without any plan to use them. When you are building a corpus of ₹500 crore from student fees, you will have to justify, whether you are planning an expansion, or you are going to use it for R&D?” said the second official. “We do not want to cap fees, but it has to be in commensuration with the expense. In the name of autonomy, should an IIM be allowed to charge, let us say, ₹35 lakh? The Act talks about autonomy, but how will you build in welfare of students. Are IIMs offering 100% scholarship to 10% of their students, while charging higher fees?” the second official added. While IIMs charge between ₹10 lakh and ₹22 lakh for the two-year flagship management course, fees have been steadily rising. 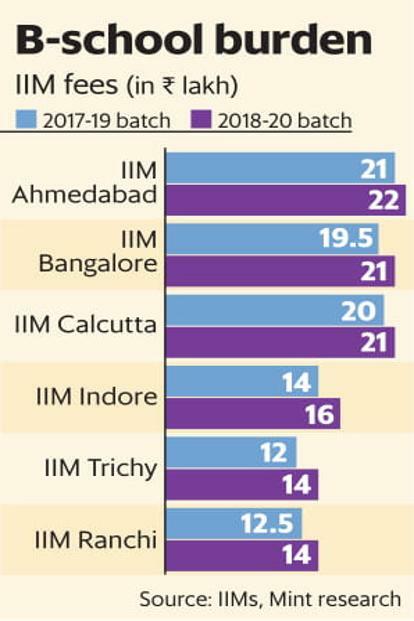 IIM Ahmedabad (IIM-A), for instance, has fixed the fees at ₹22 lakh for its two-year MBA course for the 2018-20 batch, from ₹19.5 lakh two years ago. The proposed changes to the Act will also push for better gender representation on IIM campuses. Though it will not be directly binding, its non-adherence will impact the performance appraisal of the institute and the director. Similarly, it may ask the IIMs, especially the older ones, to accept more students, given that they take far fewer students than their global peers, said the first of the two officials cited earlier. IIM-A and IIM Calcutta admitted 395 and 440 students, respectively, while the Harvard Business School gives admission to 1,000 students and Stanford Business School accepts 854. The government is also looking to have a say in the appointment of the chairman. “Without quality chairmen, IIMs’, especially new IIMs’, quality check and mentoring will suffer. Before the government had a say, but the IIM Act is not absolutely clear on this,” the second person said. “IIM Act is very reformative, but there is a chance of its misuse at the institution level. All IIMs are not equipped to take a call on their future growth, hence some government guidance is necessary. Rules with due checks and balances will be welcome, but it should not completely negate the autonomy granted via the Act,” said a professor at one of the older IIMs, requesting anonymity.